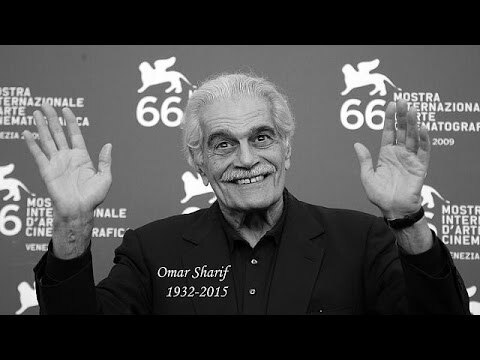 Omar Sharif is dead at 83. Born Michel Chalhoub in Alexandria to Lebanese Christian parents in 1932, he changed his name and converted to Islam in 1955 in order to marry his co-star Faten Hamama. The two were a power couple in the Cairo film world of the 1950s, a time of Egyptian nationalism and a growing experiment with socialism under President Gamal Abdel Nasser. It was a more secular time, when few urban Egyptian women veiled, and the feminist movement had successes. Sharif was catapulted into world-wide fame because in 1962 director David Lean cast him in the role of Sharif Ali in Lawrence of Arabia. He later worked again with Lean in the 1965 Doctor Zhivago, based on the novel by Boris Pasternak. 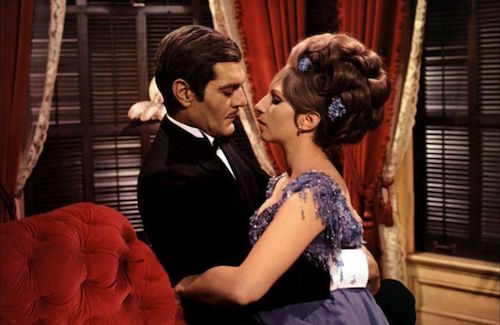 In 1968, having already played a range of characters from Genghis Khan to a German military officer, he was cast as Nicky Arnstein opposite Barbra Streisand in Funny Girl. 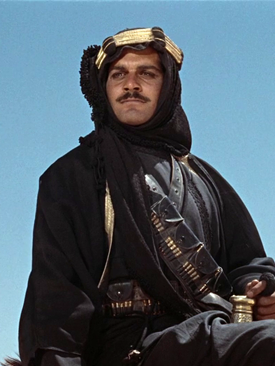 The Egyptian government banned the film and was allegedly angry about his playing a Jewish character (the film came out a year after the 1967 war). For his part, he fell in love with Streisand. Barbara Streisand is said to have quipped that if you thought the Egyptian government was upset, you should have seen the letter she got from her Aunt Rose. 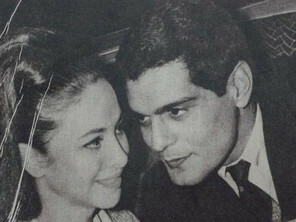 (Faten Hamama and he became estranged after he became a global star and pursued other conquests, something he later regretted; she was the only woman he ever married. She died in January of this year, but by that time Sharif’s Alzheimer’s was so advanced that when he was informed, he no longer recognized her name). Sharif later played Che Guavara (1969), but in the 1970s the quality of the roles he was offered declined steeply and he later gave up acting, save for a turn in the 2003 French film, “Monsieur Ibrahim,” about a Parisian Muslim shopkeeper who adopts a Jewish boy. That role won him a Caesar, the French counterpart of Hollywood’s Oscar. Sharif was a citizen of the world, someone who crossed cultural boundaries with apparent ease. Born Christian, he embraced Islam. Born Egyptian, he was comfortable in Los Angeles and Paris. Having become Muslim, he fell in love with Jewish co-star. But what now seems remarkable is the acceptance he gained and the range of roles he was offered by Hollywood in his era of fame. In the zeroes of this century, Arab-American actors often could not get past being stereotyped as terrorists. Even Lebanese-American Tony Shalhoub, who shares a patronym with Sharif, and who gained fame in the role of the neurotic detective Monk on the USA Cable Network, had to play a terrorist at the beginning of his career. Once, he said, was enough. It is a little difficult to imagine a major director recruiting a star from Cairo nowadays, or such a star being offered a mainstream lead such as Zhivago. It is not as if the geopolitical tensions are worse now than then. In fact, they have in some ways lessened. Egypt was more or less viewed as an enemy in the mid to late 1960s by Washington, whereas nowadays it is seen as an ally. What has changed? 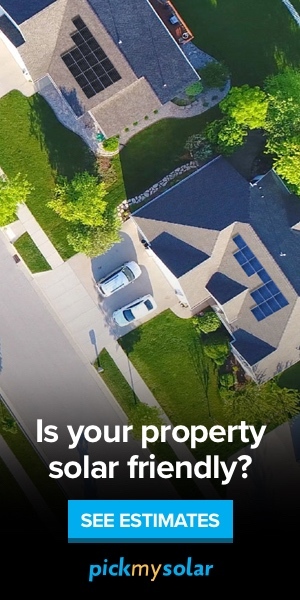 I think there is just more general, public prejudice against Arabs and Muslims in the US and Britain today. In the 1960s, people seemed to be able to make a distinction between individuals and nations. Otherwise the Sharif-Streisand epic romance could never have happened. I don’t think that the September 11, 2001 attacks by al-Qaeda explain the sea change. Perhaps it is the long Iraq War, where Arabs were the military enemy every day all day for 8 years (and now again with the rise of Daesh (ISIL, ISIS). What I can say is that in this regard, the 1960s were healthier. They gave us an Arab, Muslim leading man and movie star whom we could adore, no matter who we were. I wish we could get back to that.